When The New Primal heard about our Whole30 Coaching program, they immediately contacted us with the idea of a scholarship program. We already knew they are committed to creating products that make your Whole30 tastier and easier (3 delicious Whole30 Approved marinades, holla!) but their commitment goes deeper than that. 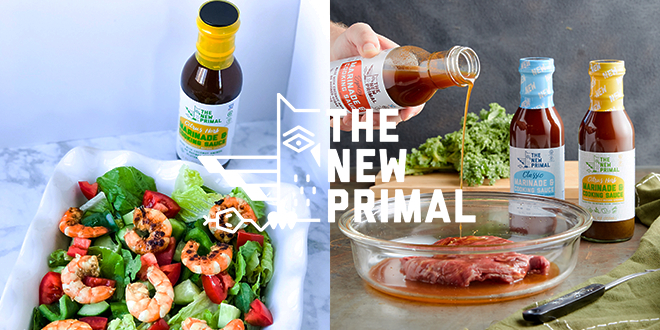 Members of The New Primal team have done the Whole30, so they know the life-changing power of the program. They also understand how hard it can be for someone to go it alone, without support, encouragement, and guidance. That’s why they’ve chosen to support our Whole30 Coaching Certification program; to provide one of YOU with the opportunity to share your love and knowledge of the program with your local community, and help us change lives. 1) Apply and be accepted as a Whole30 Coach candidate. Learn more about the Whole30 Coach application process. 2) Send an email to [email protected] telling them why you want to be a Whole30 Coach, what you plan to do with your certification, and why The New Primal scholarship will help you meet those goals. Include proof of your acceptance into the Whole30 Coach Program. Submissions will be accepted through March 30th, 2018. 3) The New Primal team will review applications and contact the winners directly on April 4th, 2018. They’ll also announce the winners live via The New Primal Instagram Story on the same day. We are thrilled and proud to partner with a company so committed to serving our community, and we can’t wait to see the life-changing that comes as a result of The New Primal Whole30 Coaching scholarship. Now if you’re planning to apply… what are you waiting for? Get started on your Whole30 Coaching journey today.